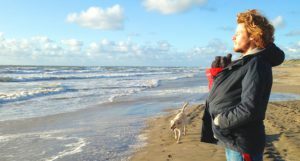 Leadership has received considerable attention in the natural sciences and it is well known that leaders and followers often differ from one another, such as in their dominance status or personality. For example, bold individuals typically lead and shy individuals mainly follow. However, such initial differences in social roles are then enhanced by social feedback between individuals, strengthening the differences in leadership between individuals. What has remained unclear however is to what extent previous social experiences might affect individual’s leading and following tendencies in later social interactions. Do you lead or follow more depending on with who you were yesterday or last week? In our recent study we show for the first time that the effect of the personality of a previous social partner can carry over to later social interactions and modulate the willingness of individuals to go out of cover and lead their partner. Experimental design. Fish were tested twice for one hour in the risk-taking task during three subsequent sessions. During the two pairing sessions fish could see and interact with one another through a transparent partition. For our study we worked with the three-spined stickleback, a common fish found throughout the Northern hemisphere that is a model species for research on animal personality and social behaviour. 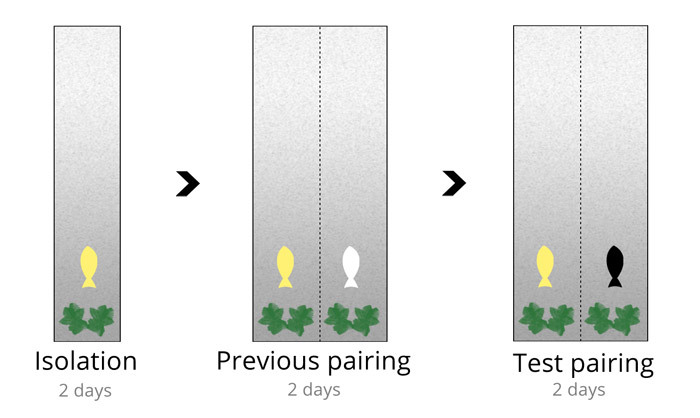 By first testing fish individually we found large consistent differences in the extent individuals emerged from cover and explored the risky environment, suggestive of a boldness personality trait. You can see a timelapse video of a full boldness session here and read more about the personality test in my previous blog post. By subsequently pairing fish with different partners we found not only that bolder fish were more likely to initiate collective movement and shyer fish to mainly follow, but that the personality of previous partners can carry over to later interactions and still affect leadership behaviour. Interestingly, this was only the case for bold individuals as shy fish were mostly responsive to their current partner. This video shows two three-spined sticklebacks being tested in paired risk-taking test in which they can hide under cover (left side) or explore a more shallow, risky area (right side). Furthermore, they can interact with conspecific through a transparent partition. The fish in the top lane was relatively very shy when tested in isolation while the fish in the bottom lane was very bold. 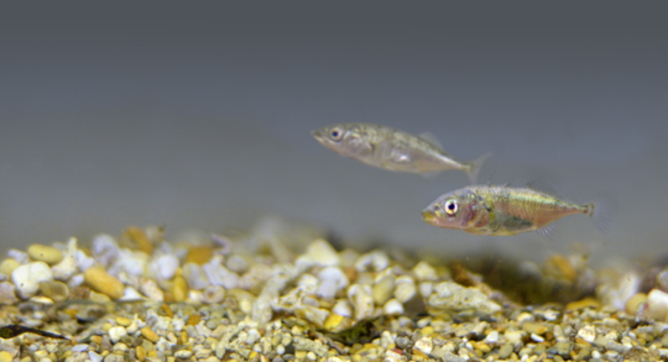 Out study shows that these small fish have personalities that are linked to leadership behaviour, but that the personalities of group mates also play a role and may continue to do so in future social interactions. These findings highlight not only that bolder individuals may be more susceptible to social reinforcement than shy individuals, they indicate that to be an effective leader, an individual may need experience with good followers, providing positive social feedback and leading experience, and ultimately more successful leadership.